After being teased with some warmer weather earlier last week, it’s back to being darn right cold again. TSM and I wanted to go see the latest Die Hard movie, but it was too chilly to bundle up and drive to the movie theater, so I decided a movie night at home, snuggling with TSM, in my flannel jammies with some homemade caramel corn was a better idea. Did you know that this popcorn makes 007 Skyfall an even BETTER movie than it already is? Yup. Truth. I’ve had this caramel corn recipe since I was about 14 years old. I got it from a friend I went to school with. We were having a sleep over and her mom made this for us, and I loved it so much she gave me the recipe. Tonight I thought that a nice, delicate drizzle of dark chocolate would make this caramel corn taste even more delicious. It did. And I almost slipped into a happiness coma. Seriously. It really did almost happen. Almost. Kinda. Sorta. Not really. Fine! It just made me really happy. Boy, you people are ruthless. TSM wants to teach me how to use The Enemy, but just looking at the camera makes me go bizerk, so to save our marriage and to save TSM from getting clocked while trying to show me how to properly fraternize with “The Enemy”, I just started using “The Enemy” without any lessons, or help, or explanation on how to use the dang thing because it takes better pictures and I’d like to get some of my photos on FoodGawker. They are notoriously finicky about which pictures they allow and don’t allow. So far every photo I’ve submitted (that was taken with my Sony camera) has been denied. Hate me all you want, but most people don’t normally say “No” to me (It’s because I’m so adorable). It just doesn’t happen often, so when it does, I’m not sure how to handle it. Again. I kid. I kid with the jokes. Sorta. Kinda. Honest. I have several recipes that I’ve already shot photos of using my trusty Sony camera. The picture quality isn’t the best but I want to share those recipes, and since you’re used to those lower quality photos, I hope you’ll understand that one day I might post some really high quality photos, and the next day, not so much. I also feel bad for my little Sony camera. 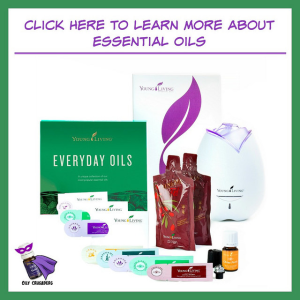 It’s worked hard to help me get my blog up and running. That camera took all the pictures in each of the 4 portfolios I had to create for classes at Le Cordon Bleu. I can’t just retire it. It might cry. We don’t want my camera to cry. Basically, enjoy the high quality pictures and forgive the lower quality pictures that will be sprinkled in until I am able to use only the high quality photos from “The Enemy”. Let’s make some caramel corn. All this talk about cameras has me bored and I’m sure you’re tired of it and you’re itchin’ for some caramel corn! 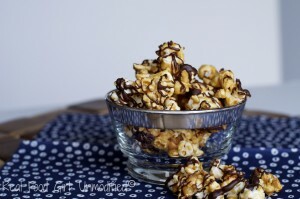 I’m going to share the basic caramel corn recipe, then direct you how to make it sea salted and drizzled with chocolate. Those directions are beneath the recipe card- so keep reading/scrolling. Chocolate, caramel, a sprinkle of sea salt and pop corn- it's the ultimate snack for those times when you just want a sweet and salty! PLEASE read the NOTES section below, before starting. Measure brown sugar, butter, corn syrup and salt into the sauce pan. Cook over medium heat stirring until butter melts and everything is combined. Continue cooking until mixture comes to a boil. Let boil for 5 minutes (SET A TIMER!). Remove from heat. Stir in the baking soda and vanilla- it might splatter at you so be careful. The mixture will be a little foamy and it might look like you don't have enough for the popcorn. Heat in the oven for 10-15 minutes. Remove and stir. At this point the caramel is easier to mix over each piece of popcorn, so stir and mix to coat the popcorn as best as you can. Return to the oven for 5 more minutes. Turn popcorn out into a large bowl and let cool. Break up and stir every few minutes otherwise you'll end up with a giant popcorn ball. Not necessarily a bad thing, but a bit harder on the jaw. After step 5, before returning the popcorn to the oven, sprinkle some sea salt over the caramel corn. Return to the oven and let warm for 5 more minutes. Melt 1/3 cup of dark chocolate with 1/2 tsp. organic shortening or coconut oil (You can use chips, or cut chunks from a good bar of chocolate) and set aside. Instead of turning the popcorn out into a bowl, leave the popcorn in the baking pans and allow to cool. Break up the popcorn by stirring it a few times before adding the chocolate. 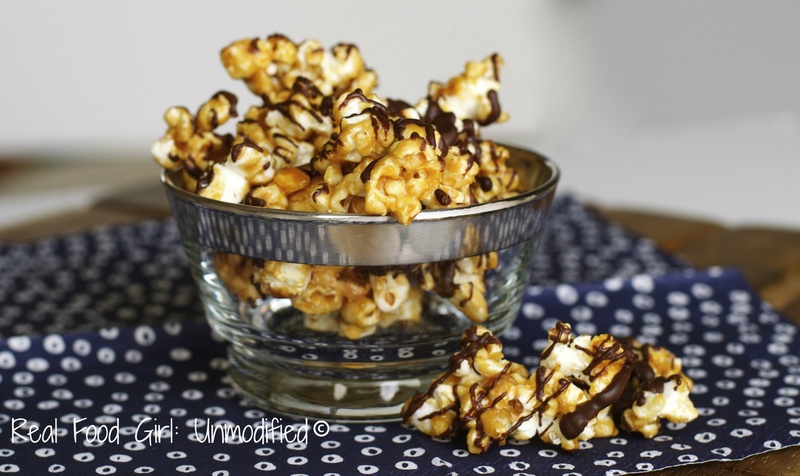 Using a fork, drizzle the melted chocolate over the caramel corn. Drizzle as much or as little as you prefer. Allow to set/cool. And enjoy. If you have any leftovers store it in an air tight container. 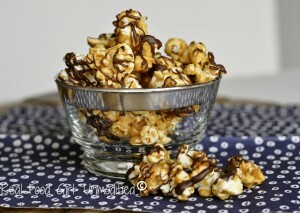 Just last week a fellow blogger shared a recipe for a caramel corn that doesn’t use corn syrup or any refined sugars. You should scroll through my FB page and see if you can find it. Thanks. I am not certain corn syrup is “evil” like high fructose corn syrup so I will probably go for it. Do keep me posted, though. Your picture looks delicious. I am craving something sweet so bad right now. One question. Is it possible to make a good caramel corn without corn syrup? This keeps holding me back from diving down this path.